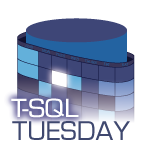 For T-SQL Tuesday #80, Chris Yates (b|t) asks "Perhaps there is a feature you would like to see added into SQL that just isn’t there yet – what is it?". That's a great question! For many SQL Server professionals, our first overt need to handle an event was for a data-related action (ie an insert, update, or delete). Naturally, we use triggers to handle these events. Or more specifically, DML triggers. And if you are familiar with them, working with DDL triggers should be familiar too.